Your fine taste in home decor should not only reflect in your interior design, but also in the outdoor elements you choose. 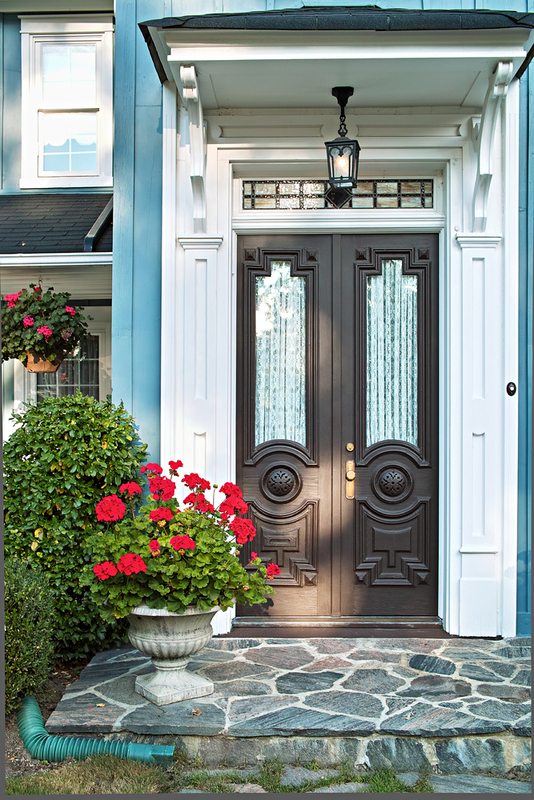 According to the pros at Murphy Home Improvement, adding a premium-quality front door is a good starting point for your home’s outdoor redesigning project. Having served the Greater Cincinnati area for over 30 years, their experienced remodeling team knows how a superbly crafted entry door redefines your home’s aesthetics. That’s why they recommend some of the finest materials to add class and elegance to your home’s entrance. Wood has long been the most popular door material among homeowners across the world. What adds to its appeal is the extensive range of customization options it offers you in design and color. The wide variety of wood options also gives homeowners in Cincinnati and the surrounding areas the freedom to choose one that best meets their budget. In fact, the modern, energy-efficient wood entrances also ensure long-term savings by cutting down your energy bills significantly. Remodeling experts highly recommend steel entry doors for areas where rodent infestation is a real threat. The reinforced structure gives you the reassurance that your home is protected from both weathering and critter attacks. Their newer design options also match up with their wood counterparts in terms of the versatility and freedom they offer homeowners in the Ohio region. If you’re looking for a lightweight door material for easy maintenance, the contractors at Murphy Home Improvement recommend fiberglass. Although a newer entrant in the market, fiberglass provides you durable protection without putting a significant dent in your wallet. What’s more, the material can easily be customized to complement the overall decorative theme of your outdoor space. For the best door materials and designs, look no further than the expansive inventory Murphy Home Improvement has to offer. Find out about their impressive collection of doorways by calling (513) 922-8989, or visit their website today.